Putting forward the price/performance ratio of smartphones, we believe many people will think of Xiaomi handsets. The Xiaomi Mi 8 SE is also a popular device in the thousand yuan market. Although it is regarded as the ‘low version’ of the Xiaomi Mi 8, the Mi 8 SE still is capable of providing an outstanding performance in all aspects. Of course, the Snapdragon 710 inside is the main guilty of that. VIVO has risen sharply this year. It has also begun to enter the thousand yuan smartphone market with the launch of its Z1 in June. But there was another model announced by VIVO for this niche. It’s the new-gen VIVO Z3, officially unleashed in October. The Z3 can be considered to be the upgraded version of Z1. However, after the release, the ultra-high cost performance of this handset has won a lot of praises. As you can guess, we are going to compare these two. The main reason for this comparison article is to find out which of them is the best in the thousand yuan niche, in which Xiaomi has been an absolute leader for a while. Both phones we are currently comparing have the same memory combination of 6+64GB. Moreover, both are packed with the same Snapdragon 710 chip. As you know, it uses the 10nm process node of the Snapdragon 845. Thus, it is much more powerful than the Snapdragon 660 in AI and image processing. So the performance of any phone with it is guaranteed. In other configurations, the VIVO Z3 sports a 6.3-inch drop screen with a resolution of 2280 x 1080 and a front-facing dual-core 12MP camera, a rear 16MP + 2MP dual-camera. On the contrast, the Xiaomi Mi 8 SE is equipped with a 5.88-inch notch screen with a resolution of 2244 x 1080, a front 20MP camera with a soft light, and a rear 12MP + 5MP dual-camera. The VIVO Z3 and the Xiaomi Mi 8 SE are equipped with the same processor, but the optimization is different. So there will be subtle differences. Let’s see how the performance of the processor is optimized for each handset. In the GeekBench 4.0, the processor running score of the VIVO Z3 is 1855 in the single-core test, and the multi-core test score is 5887. The Xiaomi Mi 8 SE’s single-core test score is 1844 points and the multi-core test score is 5940. From the processor running points, we can see that the scores of the VIVO Z3 and the Xiaomi Mi 8 SE are not much different, and there is no big gap. Let’s continue testing in GeekBench. The overall score for the VIVO Z3 is 6746, while the Xiaomi Mi 8 SE scores 6547. Comparing the two, the gap is not obvious. So it can be seen that the two smartphone manufacturers are doing a good job in terms of hardware optimization. However, we still have to look at the daily performance of each phone. Actually, the performance of the smartphone is the most important part. We opened the ‘GPU rendering mode analyses in the developer options of the two handsets, which can visually see the smoothness of the phone in daily tasks. The higher the vertical line, the more obvious the instability. Taking the Weibo app as an example, it is clear that the stripe of the Xiaomi Mi 8 SE is unstable, and it has repeatedly surpassed the smooth green line. In contrast, the VIVO Z3’s bar chart is basically stable and is below the green line. This proves that Z3’s GPU performance optimization is better than that of the Xiaomi Mi 8 SE. Let’s look at the game performance again. First, we selected “Honor of Kings” for testing. The VIVO Z3 opened a high-quality image. Honestly, during the test, we noticed the picture is smooth and the fluctuation is relatively small. Most of the time delay will not be too large. The performance of the Xiaomi Mi 8 SE is slightly worse. The smoothness of the picture quality will be lower than that of the Z3. The frequency of the card is also higher during the battle. In comparison, the optimization of the VIVO Z3 game is more satisfying. Let’s take a closer look at the performance of the two phones in the game, by playing the PUBG. Both smartphones support the high-quality image. The fluency of the two is not much worse, but the heat control of the VIVO Z3 is much better than the Xiaomi Mi 8 SE. It is not difficult to see that in the optimization of mobile games, the Z3 is in place. Honestly, VIVO is in a deep cooperation with various game developers, such as Tencent. So it’s reasonable why its representative looks and acts better. Finally, let’s take a look at the camera performance of the two. We have selected a few samples for the analysis. In the first sample, you can see that the color saturation of the flowers in the Z3 photo is better, and the scene restoration is in place. The photo of the Xiaomi Mi 8 SE is too bright. The original appearance of the scene is lost. In another set of comparison photos below, it is not difficult to see that the contrast between the highlights and the shadows of the Xiaomi Mi 8 SE is not very good, and the details of the leaves are not as good as that of the VIVO Z3. The latter is equipped with a new ISP processing module as well as an algorithm optimization. Probably, that’s why the overall performance of the Z3 is stronger than the Xiaomi Mi 8 SE. As for the backlight conditions, the noise control of the Xiaomi Mi 8 SE on the left is not ideal, and the small tree in the picture cannot be restored at all. On the other hand, the contrast of the VIVO Z3, the suppression of highlights and the details of the dark light are in place, and the picture processing is more delicate. Undoubtedly, the VIVO Z3 and the Xiaomi Mi 8 SE are among the best models in the thousand yuan niche. 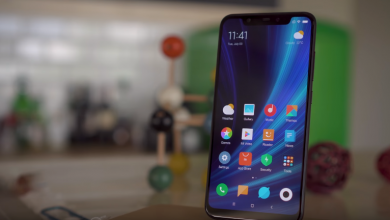 However, when it comes to the hardware and software optimization for the overall performance, game performance, and camera performance, the VIVO Z3 looks more attractive. So based on the results of this comparison, we should say the VIVO Z3 is the winner. i13 vs i12 TWS AirPods: Is it worth the upgrade?